Want to support the individual needs of students and teach communication skills? The child-oriented model for wellbeing improves students’ behavior and communication education with support in three stages. Students are given support that focuses on wellbeing and finding joy in learning. The child-oriented model for wellbeing is based on the idea that children are and should feel like they are equal members of the school community. However, children are at very different stages in the development of their emotional and communication skills. Teaching emotional and communication skills benefits especially children who have difficulties in controlling their behavior and focusing. Good communication skills prevent conflicts and help the student take a constructive approach on difficult situations as well as bond with the community. Teaching these skills will therefore promote the wellbeing of the entire school. 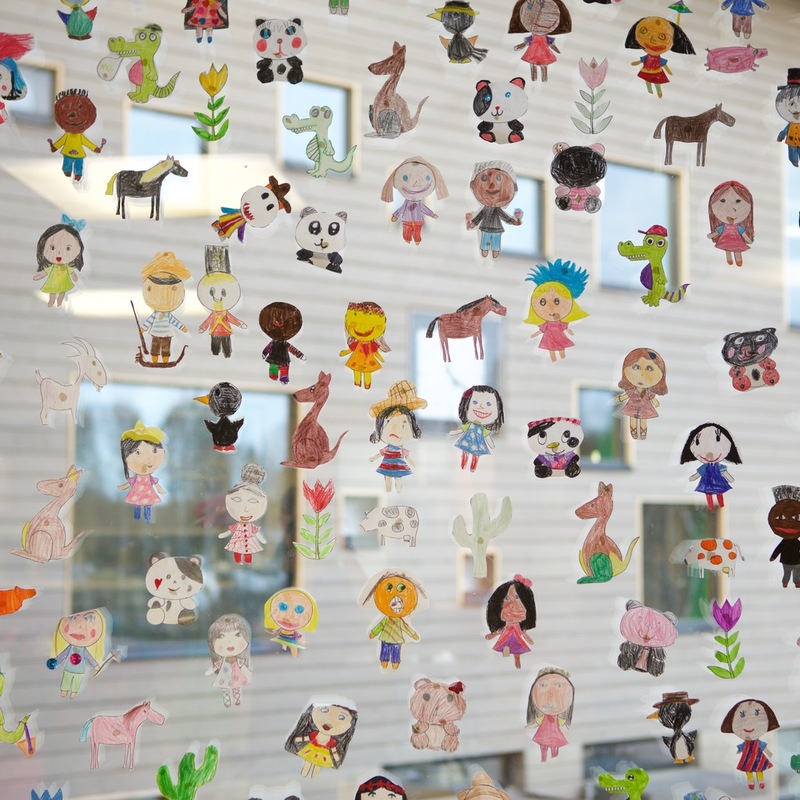 The Lappee school has developed a child-oriented model for wellbeing with three stages of support. The first stage of support, general support is the most important stage and concerns all children at school. If general support is not enough to impact the child’s behavior, they are given more individual goals. In the next stage, intensified support, the student gets a specific communication skill to practice, and the progress towards the goal will be tracked systematically. However, the first step is to check that the child has received enough general support. The third stage or special support is sometimes required to give even more individualized and intensive support so that a child can improve on their skills. In this stage it is still important to ensure that the child is supported by the other two stages – general and intensified support. In special support, a student learns and is taught communication skills individually in small groups and with peer tutors. The school designs a personal study plan for the student, which can include goals for learning a certain social or communication skill. The aim of the child-oriented model is to support the wellbeing of all students and prevent bullying and social exclusion. The model achieves this by teaching and supporting children’s emotional and communication skills. The model aims to promote growing up in a community where everyone feels like they belong. This is a school-wide operational model, so the implementation will take a long time and you must commit to it for several years. Years of development have resulted in effective ways to put students and their support in the center of school practices. In a safe community, students become happier, their communication skills improve and bullying decreases. The innovation is applicable to all kinds of schools. It requires long-term commitment from the school. Start with a school-wide discussion about what wellbeing means. This helps you to find common practices you can all commit to. The next step is defining what things promote wellbeing at your school and dividing them into the three stages of general, intensified and special support. Communication skills are learned. You should not presume that children know how to behave appropriately: children must be taught. You can even teach communication skills just like any other school subject. This step presents different methods that can be applied to different support stages. The Lappee school culture is based on these nine methods. An inclusive school welcomes all students. This innovation gives you concrete ideas on how to implement inclusive instruction in elementary and high schools.